This SOLARO Mathematics Grade 3 course provides access to standards-correlated, grade-appropriate math concepts that will complement your students' curriculum. 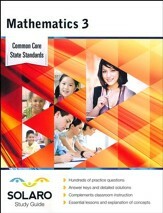 This SOLARO Mathematics Grade 4 course provides access to standards-correlated, grade-appropriate math concepts that will complement your students' curriculum. 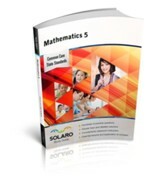 This SOLARO Mathematics Grade 5 course provides access to standards-correlated, grade-appropriate math concepts that will complement your students' curriculum. 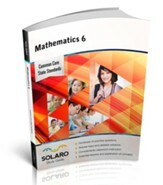 This SOLARO Mathematics Grade 6 course provides access to standards-correlated, grade-appropriate math concepts that will complement your students' curriculum. This SOLARO Mathematics Grade 7 course provides access to standards-correlated, grade-appropriate math concepts that will complement your students' curriculum. This SOLARO Mathematics Grade 8 course provides access to standards-correlated, grade-appropriate math concepts that will complement your students' curriculum. This SOLARO Accelerated Mathematics I Grade 8 course provides access to standards-correlated, grade-appropriate math concepts that will complement your students' curriculum. This SOLARO Accelerated Algebra I Grade 8 course provides access to standards-correlated, grade-appropriate math concepts that will complement your students' curriculum. This SOLARO Accelerated Mathematics Grade 7 (Integrated) course provides access to standards-correlated, grade-appropriate math concepts that will complement your students' curriculum. This SOLARO Accelerated Mathematics Grade 7 (Traditional) course provides access to standards-correlated, grade-appropriate math concepts that will complement your students' curriculum. This SOLARO Mathematics I Grade 9 course provides access to standards-correlated, grade-appropriate math concepts that will complement your students' curriculum. This SOLARO Mathematics II Grade 10 course provides access to standards-correlated, grade-appropriate math concepts that will complement your students' curriculum. This SOLARO Mathematics III Grade 11 course provides access to standards-correlated, grade-appropriate math concepts that will complement your students' curriculum. 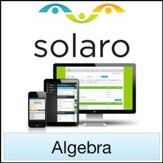 This SOLARO Algebra I Grade 9 course provides access to standards-correlated, grade-appropriate math concepts that will complement your students' curriculum. This SOLARO Algebra II Grade 11 course provides access to standards-correlated, grade-appropriate math concepts that will complement your students' curriculum. This SOLARO Geometry Grade 10 course provides access to standards-correlated, grade-appropriate math concepts that will complement your students' curriculum.